The first plastic materials were developed in the late 1860s, making the manmade stuff just shy of 150 years young. In the great, big way of the world, a century-and-a-half is very little, but plastic has had a monumental impact on the way our children play. Before the 1950s, when LEGO and the Potato Heads took pride of place in the toy shop aisles, children knew nothing different than wooden and metal toys. Wooden kitchens, wooden trikes, metal puzzles, and indeed, wooden railways. 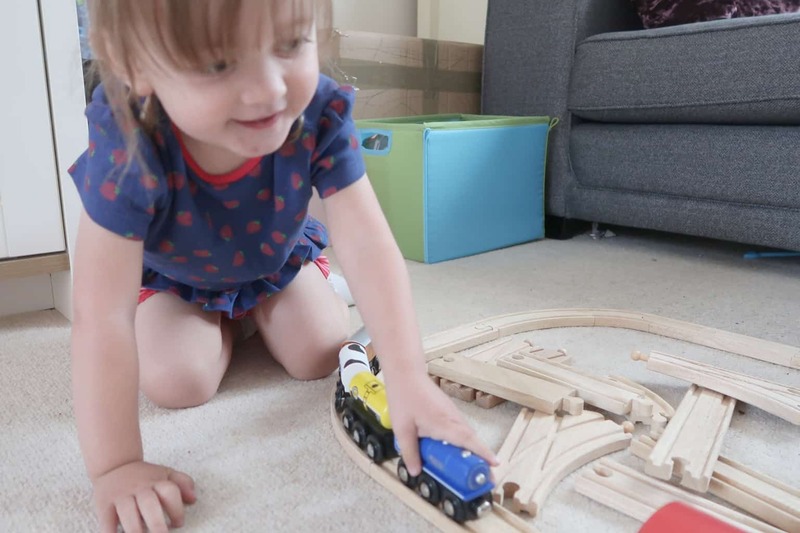 Despite the proliferation of plastics over the last 70 years, some wooden toys remain firm family favourites, harbouring nostalgic, quality values that just can’t be imitated by overproduced plastic counterparts. As we’ve already established, wooden toys are timeless. Yes, even today. In a world of tablets, plastics, and televisions, wooden railways have stood the test of time. The simplicity of wooden toys is what makes them so appealing. When everything else around is demanding our children’s brain space, stepping away from such over-stimulation can allow for growth, creativity, and learning through play. No matter what, before we even begin to consider the benefits of wooden railways for children, let’s mention how durable these products are. 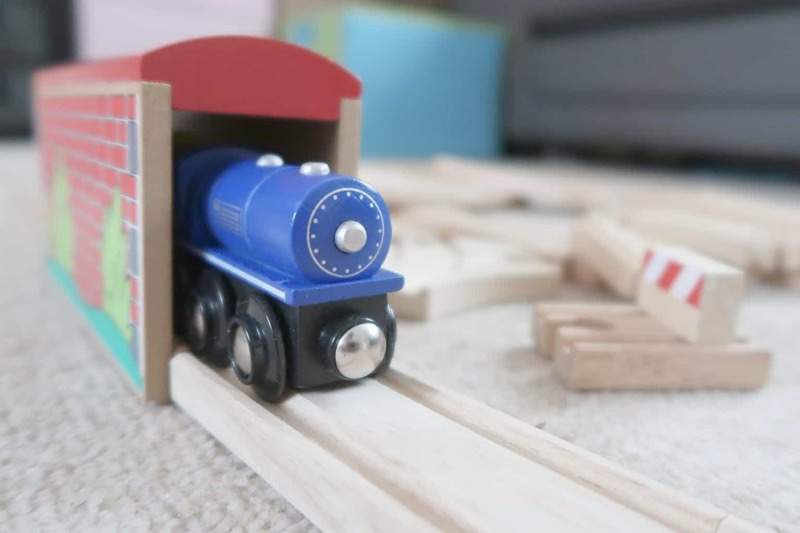 Whatever skill your child is developing with their wooden railway set, they’re going to get a good go at mastering it because these things are made to last. Unlike plastics that bend and break easily, this is a toy that can really take the rough with the smooth. Quality, solid materials. When building railways, although they are playing and creating, they’re also problem-solving. They must make a route, fix the pieces of wooden train track together, ensure that the train can run on the track successfully. If it doesn’t run, your youngster must figure out why. They have to re-design, go back to scratch. If a piece of track doesn’t fit, they must solve how to alter its position, so it will hook to the line. Now, while for adults it may be straightforward, that’s some serious brain work for a pre-schooler. 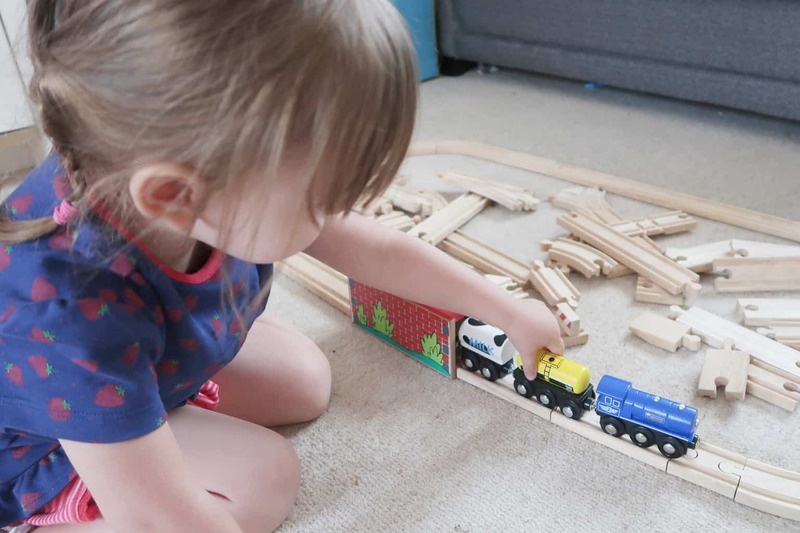 Playing with wooden railways can contribute an integral aspect of one of the main components of a child’s early development. From day dot, children are learning how to problem solve. Trains and their tracks can strengthen this skill. All of these problems are contained within the main over-arching problem of the train needs to leave from the start point and reach its destination. 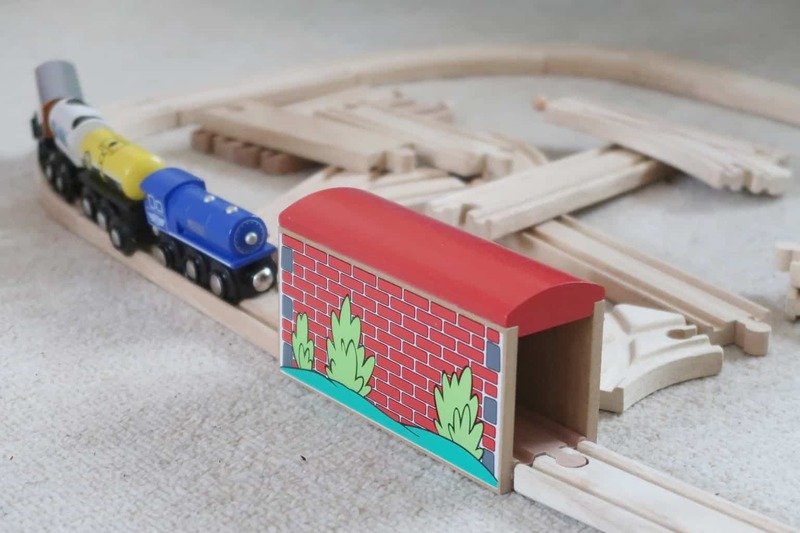 In problem-solving to achieve an aim, children learn the process of setting up the track, building the track, and moving the train on the wooden railway from A to B.
That’s sequencing: arranging ideas and information into something that works. A core skill for human life, thusly an essential skill for young children to master. Let’s not forget, unlike so many other toys today, wooden railways inspire creativity. Children make their own fun. It is not handed to them, rather they earn it from engaging with the activity. It is endlessly rewarding. What’s more, the process and the end result can be whatever their imagination wants it to be. Priceless.